The big news of the day has to be Automotive News’ Larry Vellequette’s interview with Fiat Chrysler CEO Sergio Marchionne, in which the Italian-Canadian executive reveals he has not actually given up trying to merge his company with General Motors. Not by a damn sight. What, you thought that was going away? Everyone sort of did too. But in the interview, which I highly recommend you read in full, Sergio seems pretty insistent on making it happen. No does not mean no to him. He said: “I’ve gone through product by product, plant by plant, area by area, and I’ve analyzed them all. Asked directly, a GM spokesman wouldn’t call Marchionne’s analysis wrong but said GM officials believe the company and its shareholders are better off on their own. More on this story later today. 2nd Gear: Why Does He Even Want To Merge? Remember that magical-sounding five-year plan Fiat Chrysler unveiled in 2014? It seems clear now Marchionne’s company may not be able to afford to do all that stuff. Hence, a desire for a merger, even though some of those plans would likely go by the wayside. In the second part of that interview, Marchionne says Fiat Chrysler can survive in the short-term on its own but “in mediocrity,” which I’m sure will be awesome for their share prices. Marchionne says if FCA continues “globalizing Jeep at the speed of light” and developing Alfa Romeo and other premium vehicles, it will have sufficient capital to survive for the long term. Jeep, he says, “is the biggest insurance policy I have because that brand was the best part of Chrysler by a long, long stretch.” Analysts agree. They have pegged the value of Jeep at close to 60 percent of FCA’s total value after Ferrari is spun off. But to outsiders, including analysts, competitors and potential partners, FCA has issues. Lots of big issues. Fiat Chrysler has a laundry list of cost issues, lower margins, fuel economy average problems and more you can read here. When you look at things from this lens, a merger seems like a quick fix for many of those problems. Maybe. Volkswagen must sell its shares in estranged partner Suzuki, an international court has decided, ending a nearly four-year battle over a dysfunctional alliance between the two carmakers. German car makers are reviewing how many vehicles to send to China or the U.S., and U.S. dealers say they expect to get more Mercedes, Audi and BMW sport utility vehicles to sell as a result. A longer term slump could prompt automakers to export more vehicles from Chinese factories or absorb the short-term cost of production cuts, analysts said. Most global automakers have significant manufacturing operations in China they want to keep running. Industry executives say China is still a growth market over the long haul, even if the pace of growth slows. To offset the sharp slowdown in the growth of overall sales, vehicle manufacturers in China are pushing sales of sport utility vehicles that typically generate more profit per vehicle. UAW-Chrysler Department Vice President Norwood Jewell on Friday said the union’s locals had passed strike authorization votes at an overwhelming 97 percent as the union and Auburn Hills-based automaker continue contract negotiations. Strike authorization votes are procedural measures taken by union members at all three automakers. Each year, the votes pass with an overwhelming margin and allow the union to call for a strike if they determine the automakers have not bargained in good faith. This is the first year since 2007 that the union can call a strike against Fiat Chrysler or GM. 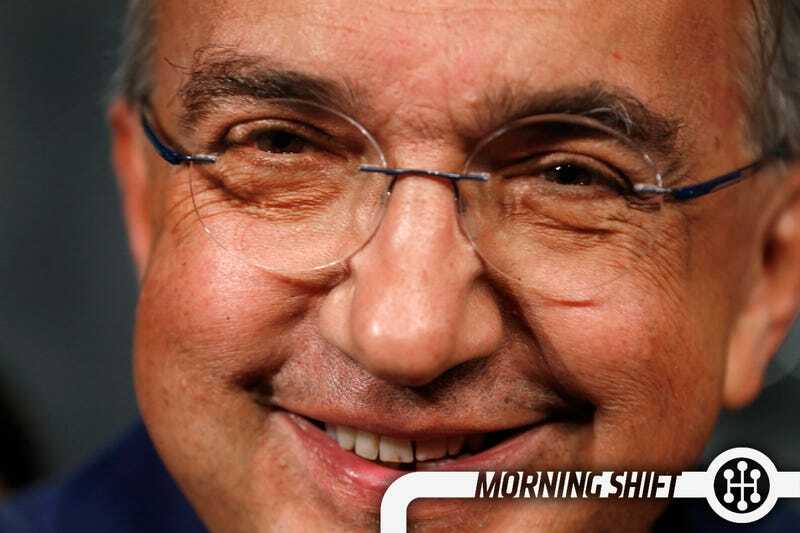 Okay, let’s say Marchionne succeeds in a hostile takeover of GM. What brands live and what brands die from each? Or do Chryslers become Chevrolets or what have you?